Russia’s President has submitted an agreement reached with the Syrian Republic to the State Duma for approval that would authorize the placement of a Russian Air Force group in Syria for an unspecified period of time. Vladimir Putin has also tasked Deputy Defense Minister Nikolai Pankov with presenting the agreement to both parliamentary chambers as his appointed representative. 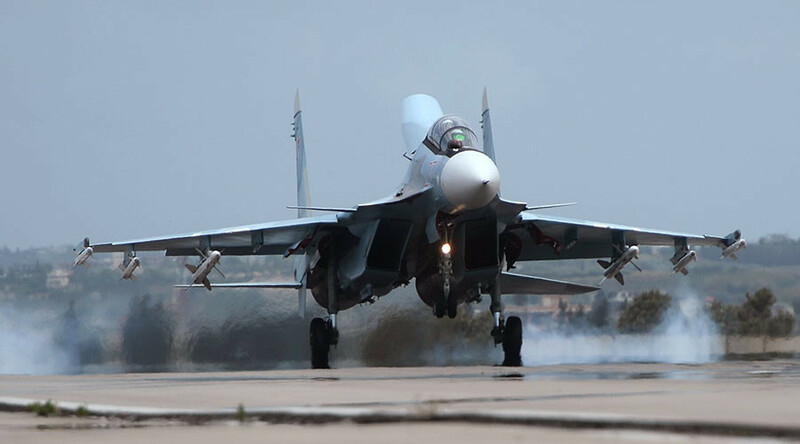 The agreement, which was signed in Damask, Syria on August 26 of last year, specifies that the Russian air force group would be deployed at the Hmeimim airfield in Latakia province to maintain peace and stability in the region. The document emphasizes that the placement is of a strictly defensive character and not targeted against any other state. The document was published on Russia’s web portal for official government documents on January 14 of this year, when Yevgeniy Buzhinskiy, the former head of the Defense Ministry’s directorate for international agreements, told reporters that this was the first time such an agreement had been declassified and made public so soon after signing. Previously, documents of this type had remained secret for decades. The committee’s chair, Vladimir Komoyedov, told TASS that the State Duma Committee for Defense intends to give consideration of the agreement top priority. Russia began its Air Force operation against the Islamic State terrorist group (IS, formerly ISIS/ISIL) in Syria on September 30, 2015, at the request of Syrian President Bashar Assad. In mid-March of this year, President Putin ordered Defense Minister Sergey Shoigu to begin the withdrawal of Russian forces from Syria, as most of the initial objectives of the operation had already been achieved by that time. However, the president also decided to maintain Russia’s military presence at the port of Tartus and at the Khmeimim airbase in order to observe the ceasefire arrangements in Syria.